The Eye of the Fish has tried to keep away from the whole sorry saga of the Sports Centre, but recent developments deserve a forum for comment. The entire Sports Centre fad has escaped by the Fish, for whom the idea of 12 courts full of screaming netballers sounds more like a living hell than a place we’d ever want to go to. Apparently even 12 courts is a small number, claim the supporters, who point a regional places like Palmerston North have more courts, like a somewhat ridiculous 20 or so. Given that Palmerston North is an odious hellhole at the best of times, and out of range of the Fish, lets not go there. Ever. But when your head of Urban Design and Transport committees publicly comes out against it, shouldn’t you at least recognise there is something deeply wrong with the site? Actually, it seems that everyone agrees that the site is flawed, but most seem to be saying, “We know its not perfect, but its the best of a bad bunch”.�Banana comparisons aside, what do you think should be done? I’ve read a number of times in the paper that having two separate, smaller indoor centres could be achieved for a similar price. Something like 6 courts near the stadium, with access to Thorndon Quay by bridge or subway, and 8 courts on Cobham Park. This might allow at least a football pitch at Cobham Park to survive, and perhaps have a pavillion and smallish grandstand incorporated with the Indoor Sports Centre. Wellington is struggling for fields as it is. I also wonder why they wouldn’t allow access from that street with Placemakers and the new BigSave furniture complex, and in fact, that street should be linked back up as a crescent, to allow two different exits and prevent major congestion at the main entrance. A bus stop area combined with a slip road/onramp onto Cobham drive would also be good to limit the limit the number of cars using the roundabout. And this thing makes poor use of the available space. It’s like they’ve decided they have to fill the whole site. The grass area on the Rongotai side is just a dead area that requires maintenance. What about some cricket nets, or a cafe, or anything resembling activity? I have wondered about other possible sites, such as the Kilbirnie Bowling Club, Aquatic Centre/Rec carpark, or the big Campervan carpark/Market between Chaffers and Te Papa. The whole area north of Rongotai Road needs serious re-thinking before it is completely overtaken with big-boxes and carparks. It is terribly disconnected and unwalkable, and an inefficient use of space. I would prefer to see a long term plan for that area that saw more connected walkable streets and Cobham Drive turned into a Bouelevard rather than a pseudo-expressway barrier. On the subject of the sports center. Why is it such a priority now that we must comrpomise on its design? We do this for so many things in Wellington, rather than wait until we have the extra money we need to do something right or until the right opportunity presents so that we can do it well, we do cheap compromised jobs just to get things done. If this sports centre is about activity, wait until you can do it right, in the Pipitea area. In the mean time do other things, e.g. improving bike facilities and building bike lanes and the like, that’s active, and has flow on benefits for transport. If it were to be rushed into the Pipitea area I would be concerned. There is no long term master plan for the area. Entrenching that concourse by building on top of it is a disasterous idea. Everyone is going to hate that thing in 30 years, when the port area starts to be inhabited by apartments and offices (hopefully with a master plan). There it will be, an ugly 800m long fortification between one side and the other. erentz, I’ve always had a secret longing to see the Evans Bay Marina and Cobham Drive turned into a boutiquey, boulevardy sort of hotel/shopping/apartments/aquarium type area. Obviously, that’s never going to happen in any way, shape or form, but simply connecting some Kilbirnie side streets with Cobham Drive would make the whole area more accessible. There’s no need for the giant roundabout, what a waste of space where traffic lights, or even just a normal intersection would suffice. The traffic volumes are probably comparable to Manukau Road in Auckland, or Adelaide Road. There’s really no need for it to be 70km along there, either. And yeah, I see your point about the concourse in 30 years. Don’t even start me on the Fran Wilde Walk / concourse. What a joke that is. Surely the most important part of this project is the traffic report? Anyone have any idea what that says? I wonder if the decision to put the Indoor Sports Court in Kilbirnie was to allow room for a future Vector Arena-type centre (ie, 9,000-12,000 seats)? Deepred, wasn’t it reported a month or two back that they were considering a new arena? Any idea how real/serious it was? If so, it would make even more sense to wait (wouldn’t it?) and take such a plan into account, potentially sharing some facilities, saving some costs on construction, operations, etc. And totally agree, that round-about needs to go, it’s completely unecessary, but I can imagine the reaction if it were proposed. Erentz: Regarding the big Vector-style arena, a number of rock concert promoters like Phil Sprey were in support of it. Favoured sites included Centreport land and above the Westpac Stadium concourse. re: Vector Style Arena, Is there room to put this on top of New World Chaffers and the carpark? If it was tastefully designed (unlikely), and well considered (very unlikely) it could be the perfect large venue. There is underground parking already there, and the supermarket could remain underneath. Give New World free naming rights forever for the site. Cut out the dogleg for traffic from Courtenay/Kent/Cambridge to Oriental, and ensure a direct pedestrian route/line of site, perhaps in a covered walkway underneath the centre, from Blair Street through to Waitangi Park. I can’t see any bar owners having problems with that. re: Friends of Cobham Roundabout Community Action Group. Yeah, there’ll be John Morrison types holding it up and proposing a flyover instead. But seriously, Rongotai Road is not a busy road, and I know three different people who have failed their driving tests ON THAT ROUNDABOUT. It’s not a ‘good’ road. Hell, throw Serepisos’ name on the entrance and you’ve halved your funding. Jason, the problem with that is that it would disrupt even further, the Cambridge/Kent viewshaft between The Bason and the waterfront. What about like this.. with a tunnel. Tunnels are all the rage these days. Wouldn’t be difficult to convince Kerry that tunnels through convention centres are what vibrant, competitive cities that want to be recognized on the world stage need. Sorry, going waaaay off track here. I think the key thing here is for the council to decide once and forever, whether the ISC is to go in Kilbirnie or the Central city. I know that the issue has been going back and forth, between sites, and it has dragged out long enough. Its pretty obvious that no-one really wants a Kilbirnie solution, due to future mega traffic jams, but Kerry has decided to put a brave face on and say we’ll pretend that Kilbirnie was what we wanted all along. There are 2 main problems with Kilbirnie as a site of choice: 1=Parking and 2=Getting there. The Traffic report seems to say that they believe parking will be adequate – this seems on the face of it to be totally wrong. There are projected to be lots more users than there are to be carparks. Netball, basketball etc – team sports, families in Ford Explorers and Honda Odysseys – a large amount of extra vehicles to cope with every Saturday morning, and they can’t park along Cobham Drive, or in the residential streets nearby. Getting there is also a big issue – the site is great for the quarter of Wellington who live east of Mt Vic, but pretty crap for the remainder who don’t. Cars are going to be clogging the Mt Vic tunnel even more than they do at present. There is one bus route that goes near the Kilbirnie site at present – just the one? There is no high speed bus lane, no light rail on offer – it is a terrible choice of site and a last resort, as we all know, and Kerry shouldn’t be pretending otherwise. Jason – the site at Chaffers is far smaller than Vector, I’m sure. Wayyyyy too small. Sorry. The bit that really sticks in my craw over this is the refusal of Centreport to budge over the sale of their land – and the amount available. They’ve been getting off way too lightly on this issue. Currently they have acres and acres of land sitting idle at the port, for the storing of logs for export, which has to be the most lame excuse ever for using prime waterfront land. Export logs are an insult to NZ’s export industry – its like we are some dumb-arse 3rd world country, that can’t afford a decent saw-mill. We get a pathetic rate of return on logs, as opposed to finished, cut, timber. And Centreport should just be forced to play ball. The Stadium site – either on the concourse or on the Port land – is the only logical place for the ISC to go. The council is being held to ransom by the port and that’s bad for Wellington. I think there are far more bus routes than just the one. From memory I think the 2,43/44,10,24 all go past the Kilbirnie site. Maximus, I just went to maximum zoom on google maps and while the Chaffers New World site is much smaller, the Chaffers site combined with the Campervan carpark opposite isn’t. Vector’s shape isn’t a great one to fit into Wellington thuogh, obviously. Also, Wellington would no doubt be looking at something slightly smaller, and you’d have to knock down Mr Chans! It was really just a pipe dream example of the way I think the Council should be thinking, and not something that I would necessarily suggest be done. Some years ago there was a concept photo of having an old InterIslander across Customhouse Quay. It was pretty ill conceived and ugly, but it was interesting and imaginative. We tend to treat roads better than historic buildings when it comes to building over them. Streets are a different story. Cuba street, for example, should not be built over. Cable Street at that location is essentially a slowish highway. There are some great spaces that could accomodate 2 or 3 indoor courts – instead of having 20 at one site, why can’t we put three on the dead space at the corner of Karo and Victoria. Another 3 or 4 under the motorway off the Terrace for the lunchtime punters. Then go ahead with a 6 court complex at Kilbirnie for tournaments and schools etc. But there is a heck of a lot of land between Thorndon Quay and Aotea Quay that I would like to see something done with. The tracks could be lowered a couple of meters, and the whole thing built over, and cris-crossed with streets, and parks, and the like. A sports centre, and a future arena, and offices or apartments, and etc. But to do this you’d have to plan for it over 10-15 years, and do it in phases. And in 30-50 years eventually the whole of the pipitea area would be covered, hopefully with a small ecopolis. Seems Andy Foster is taking some hits for his appeal. Rather think he should be praised than bashed for taking a stance on doing the right thing rather than the convenient thing. Can’t we have more Councillors do this? Frankly I’m surprised he is (seemingly) so alone. Correct me if I’m wrong, but isnt Andy taking as many hits for having kept his objections a secret up until now as he is for his actual objections? It seems that he his appeal to the Courts appeared without warning…? I think that Andy has probably been quite vocal in his objections to people at Council meetings for the entire time, it certainly wouldn’t be a surprise to them. Which sort of makes my last note even more perplexing – no one is allowed to comment, except for Kerry, twice now. The wonders of power eh? But nonetheless, good on her for posting. We need more interaction with Council, not less. When a level-headed city councillor such as Wellington�s Andy Foster goes out on a limb, we should sit up and take notice. I don�t always agree with him but he�s a hard-working, accessible representative for the Western ward and his ranking in ward voting reflects this. He listens to ordinary people, not just interest groups. Should he stand for the mayoralty I�d seriously consider voting for him. So no, I don�t want him to resign. Nor do I want to be trying to get to the airport to catch a flight on a Saturday if the Cobham complex proceeds. Wellington city councillor Andy Foster, in his zeal to get his own way, has obviously not thought through the consequences of lodging an Environment Court appeal that seeks to overturn a majority decision of his democratically elected council colleagues on the proposed indoor sports centre. Aside from the unnecessary cost that will be imposed on ratepayers, his petulant action flies in the face of the convention of collective decision-making, which requires individual councillors to abide by the decision of the majority, regardless of whether they personally agree with what�s been decided or not. The fact that Mr Foster failed to even front up for the final council vote when his colleagues decided in favour of the Cobham Park indoor sports stadium demonstrates his contempt for the democratic process, exacerbated by his arrogant petulance in lodging the appeal. Mr Foster is entitled to appeal if he wants to, but not while serving on the very council that made the decision he wishes to appeal against. He can�t have it both ways he either accepts the majority council decision or resigns as a councillor and proceeds with his appeal. Wellington Mayor Kerry Prendergast might have been all smiles when handing out medals at the Sevens, but as soon as anyone stands up to her, she shows her true face. Councillor Andy Foster and others have appealed to the Environment Court because the mayor is insisting on pushing ahead with plans for an expensive, badly sited indoor sports centre at Cobham Park. By exercising their democratic rights in this way, appellants are giving the city the chance to revisit a bad decision and make a better choice. And how does Ms Prendergast react? By calling Mr Foster�s action an �ultimate betrayal� and threatening to remove him from his council posts. Instead, she should be thanking him for giving the city the chance to rethink a seriously flawed project. I can assure Wellington Mayor Kerry Prendergast that councillor Andy Foster, whom she acknowledges as being historically fiscally responsible, has much support in Karori. There should be no question of his resigning. I�m not happy if there are seemingly different interpretations of democracy for members of the public and for politicians, but no valid democratic process is an abuse of the democratic process. Is bullying a normal part of the way Wellington City Council works? I have just read about councillor Andy Foster apparently being threatened with loss of privileges and income because he�s dared to challenge a council decision. Isn�t this why we elect councillors to stand up for ratepayers? I strongly question Mayor Kerry Prendergast�s assertions that most ratepayers want an indoor sports centre at Cobham Park. Has research been done to corroborate this? I doubt it. As a sportsman myself, I�ve yet to meet anyone who agrees with her. We all know the situation. The council must save about $50 million over the next few years, so we should put this $50 million project on hold. We can get by without an indoor stadium for a while. And when we do need one, it can be built in the right place, where the motorway and rail links meet near Westpac Stadium, not on valuable open space. If an elected councillor must suffer retaliation from a bully by objecting to a project and we do nothing, we�ll end up with a lapdog council that we deserve. Where will that leave us? 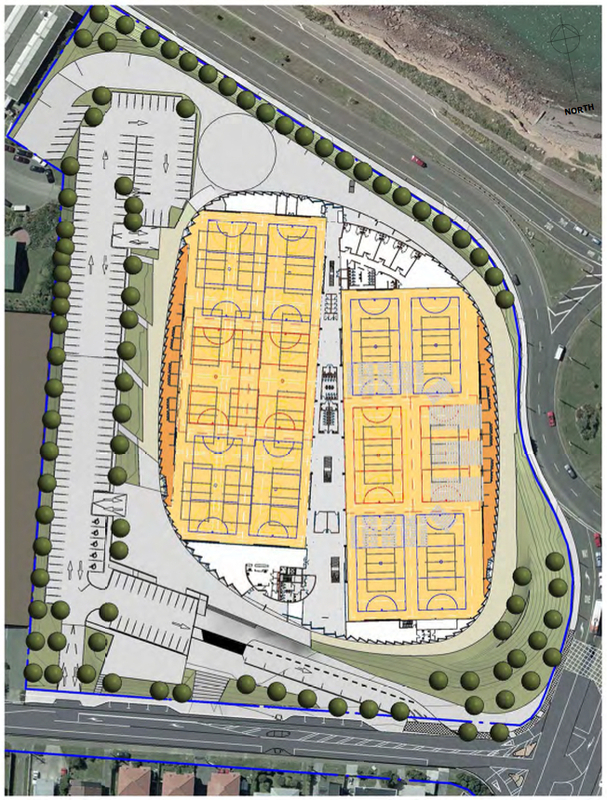 Have Wellington�s mayor and the council considered the impact on traffic caused by sporting events involving up to 4000 people at the proposed Cobham Park events centre? Perhaps they�ve never sat for 40 minutes in traffic getting from Miramar to the cbd on a weekday morning. If the events centre goes ahead, I predict more missed airport connections, many more angry motorists and more accidents at roundabouts where most Wellington drivers seem to think that signalling is an unnecessary option. You provide a graphic illustration of just how this city is governed when you report that Wellington city councillor Andy Foster might lose between $35,000 and $65,400 for acting against the wishes of the mayor. Whatever one�s view of the issue, an expenditure of $46 million for a non-essential indoor sports centre does call for careful consideration and he is hardly irresponsible. This naked threat shows the power of patronage. The provision to councillors of huge sums under the effective control of the mayor has long controlled most votes and the few who have refused to conform to her wishes have been cruelly sidelined. Honesty costs a lot, while conformity guarantees huge rewards. This is why this council reaches so many ridiculous and costly decisions. Whether or not this system is legal, it is certainly immoral. The mayor says that �We really need to ask Wellingtonians whether they want Andy Foster to resign�. It is the mayor who should resign. I want to thank Wellington city councillor Andy Foster for deciding to oppose the proposed sports stadium in Kilbirnie, delaying its progress. It�s not just the cost that this stadium will impose on ratepayers but all the extra road traffic it will cause through the Mt Victoria tunnel and delays for passengers travelling to and from Wellington airport that concern me. Maximus – Kerry’s posting minion here. Sorry it’s taken me a few days to get back, but as you can imagine we’ve been a bit busy here. I’m sure you don’t believe everything you read in the Dom Post, so perhaps it won’t be a surprise that there isn’t actually a gag on councillors discussing this issue. Any councillor, or anyone else, could be coming on here and saying what they want, more or less. Perhaps those who haven’t been dragged into this bunfight already are happy to keep it that way, and who can blame them? There is a restriction on what can be said, though: because this matter is heading toward the Environment Court, lawyers have advised the council that matters directly relating to the substance of the appeal should not be publicly discussed. That includes traffic, which is the thing everyone wants to talk about. So I can’t help with, for example, Rondo’s comment from last week about the traffic report. Even the Dom Post in its crazy splash on Friday reported that the ‘gag’ related just to ‘aspects’ of the proposal. You’d have to ask them how a partial gag works. That’s all for now. Got minion stuff to do. Stephen, thanks for the reply – no offense intended about the minion comment – i’m just a minnow myself. Sadly – can’t believe anything in the Dom Post nowadays. But anything that was already in the public domain can surely be released on line – as in the traffic report. That was available for the Resource Consent – so is already in the public domain? Certainly glad to hear there is no gag in place. Not a nice image to think of the council’s best employees and elected public servants all sitting with gags and gimp masks on…. Maximus – at the risk of boring you rigid, this is just by way to back up my colleague Steve in an attempt to prove we’re not running a witchhunt here at WCC. Here’s the news release we fired out on Friday which, not surprisingly, was not picked up by the DomPost. No search of anyone�s email accounts is under way at Wellington City Council, nor are City Councillors being �gagged�, says Council Chief Executive Garry Poole. Mr Poole wishes to assure City Councillors, Council staff � and Wellingtonians in general � that no �witch hunt� is under way at the City Council and no email accounts are being searched � despite the assertions in today�s Dominion Post lead story, headed �Stadium appeal backlash�. Also contrary to the Dominion Post’s assertion, no Councillors have been �gagged� and told not to discuss the Indoor Community Sports Centre issue. �I do not have the right, let alone the inclination, to impose such censorship. Councillors were in fact asked yesterday to not publicly discuss the Council’s legal options in terms of our approach to the ICSC appeals. This is legally-privileged information and it would be highly damaging to the City Council if it were publicly available. We also never publicly discuss issues that are before the courts. Mr Poole says the Council is absolutely not conducting a search through any email accounts. What staff are, in fact, doing is responding to a request under LGOIMA (Local Government Official Information and Meetings Act) from a member of the public for certain documents and correspondence (including emails) relating to the Indoor Community Sports Centre. The Council�s Issues Resolution Office is managing the request as it would any other request for information. This does not constitute a search of any particular email accounts. Richard, thanks for that. I’m always rigid, but never bored…. Andy Foster has received backing from an independent project manager who says council got it wrong when they chose Kilbirnie for the Indoor Community Sports Centre. THE cost of building an Indoor Community Sports Centre on the Westpac Stadium concourse was inflated by $50 million, says Ian Maskell. A 12-court centre could be built above the concourse for $46 million � the same cost as the centre planned for Cobham Park in Kilbirnie, Maskel, an independent project manager, says. Wellington City Council commissioned Maskell in 2002 to investigate the cost of building indoor courts above the concourse. �The quantity surveyors agreed that the costs of the two options equated at around $46 million for each,� Maskell says. But when councillors made their decision in 2005 on where to site the centre, the costs presented to them were unequal. �When that was put before councillors, $20 million was added to the concourse proposal for some view of additional risk. 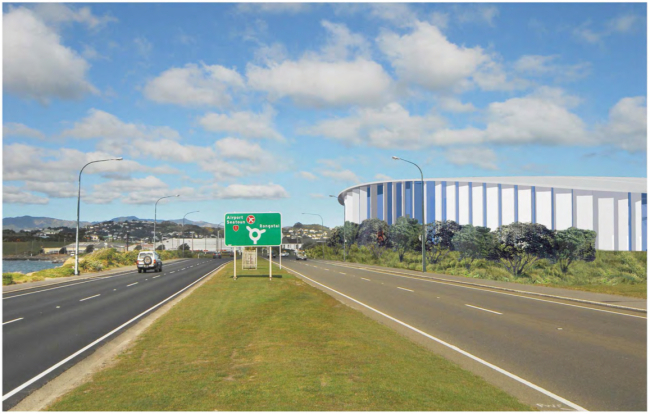 Councillors were also told the concourse option would require an additional $30 million for a flyover to avoid disruption to Port of Wellington rail traffic, which boosted the cost of the concourse option to $96 million. That $30 million is no longer an issue as the Port accepts its rail traffic will not be disrupted, Maskell says. Maskell says it is not surprising councillors selected the $46 million Cobham Park proposal over a $96 million centre built on the stadium concourse. However he backs councillor Andy Foster�s call for the decision to be revisited. Foster has mounted an Environment Court challenge to the construction of a centre on Cobham Park and wants councillors to debate the issue again. �Did councillors fully understand at that time that the concourse scheme didn�t need an additional $20 million [or the $30 million for a flyover] and that the true comparison was $46 million versus $46 million?� Maskell asks. He says the concourse proposal may actually prove cheaper than the Kilbirnie site as it opens up more possibilities for generating operating revenue. �You can have commercial income from local businesses using the centre at lunchtime during the week, which won�t happen if it is in Kilbirnie. It could also be used as a large-scale banquet venue � using the catering facilities in the adjacent Westpac Stadium, he says. Foster, council�s urban development and transport portfolio leader, also advocates the city option because it is on the main public transport route. 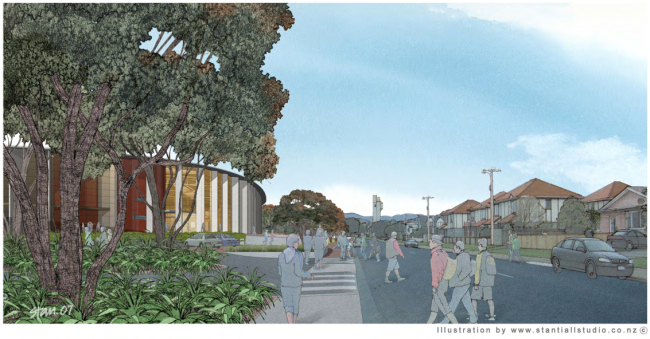 Maskell says this is important for a centre that will be a regional asset used by elite netball, basketball and volleyball players from all around Greater Wellington. �Putting the centre in the eastern suburbs could raise the weekend traffic pressure on the Mount Victoria tunnel and Wellington Road by 8-10%. I wish you hadn’t mentioned councillors in gags and gimp masks. I don’t think I can face my lunch now. Really? I always thought Bryan Pepperell quite suited one. You might be interested in this, the press release which went out last night (Mon 23 Feb) regarding the ICSC review offer. I’d have posted it last night but couldn’t get past your blackout protest. Mayor Kerry Prendergast is urging all sides to seize the opportunity to resolve the deadlock over the siting of the Indoor Community Sport Centre at Kilbirnie after reaching an agreement with Cr Andy Foster. Cr Foster, one of two objectors whose appeals against resource consent have threatened to delay the project and push up costs, has accepted the Mayor�s offer of a new review relating to his preferred site for the centre, on the Westpac Stadium concourse. The offer, conditional on Cr Foster agreeing to withdraw his appeal to the Environment Court, came from a meeting between Mayor Prendergast and Cr Foster on Friday. Mayor Prendergast said: �We both agreed the issue needed to be resolved quickly. �We needed to resolve the uncertainty for everyone as a result of the Environment Court appeal so I approached Cr Foster last week to put the following proposal to him. �The proposal is that we invite, with mutual agreement, a group of 3-4 experts including a QS, an accountant and a sports person to review the costs of the Concourse option including the issues around roading and parking. The review would be restricted to the Concourse proposal costs presented to Councillors, which Cr Foster has challenged on behalf of the consortium who drew up the proposal. The new review will look at the costs of Concourse proposal which, when presented to Councillors, was still at high-level conceptual design stage. The Cobham proposal has been through detailed design. Cr Foster and the consortium argue that proposed developments at the two sites are equal in cost, which conflicts with advice to Councillors that the Concourse proposal would cost significantly more than Cobham when properly costed. �This provides an opportunity for an independent review of all the numbers so we are comparing apples with apples,� Mayor Prendergast said. �It will also look at the projected costs associated with roading and parking if the Concourse proposal was to go ahead. �The terms of reference and composition of the review group are still to be agreed and finalised but we would hope they would complete the process as quickly as possible.